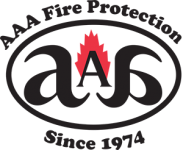 AAA Fire Protection Services is a professional fire extinguisher services company that brings more than 40 years of dedicated services to businesses in Berkeley and throughout the San Francisco Bay Area. Our comprehensive fire extinguisher services are complemented by our fire extinguisher sales. We sell fire extinguishers because businesses in certain industries must have very specific types of fire extinguishers on site. The California Code of Regulations - Title 8, Section 6151 discusses what the obligations of businesses in California are when it comes to fire extinguisher services. Because we have more than four decades of working with the California Code of Regulations, we understand Title 8 and section 6151 perfectly. Our expertise in fire extinguisher services makes it easy for businesses like yours to always be 100 percent compliant with California's complex fire code. We'd like to put our expertise to work for your business. We offer comprehensive services at affordable prices. For more information or to schedule service, just give us a call at (800) 543-5556.